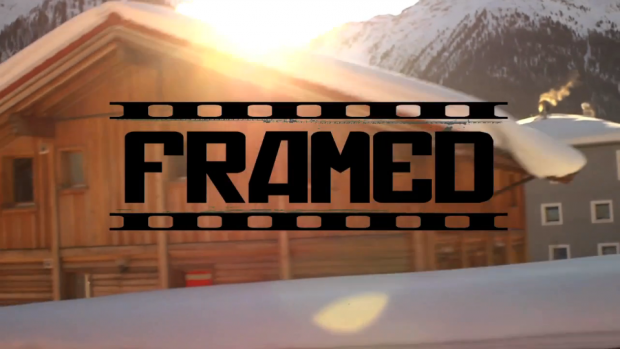 It´s on Tv internet presents the Official Teaser for the first full length snowboard/action/everything you want to see/ film that we call « FRAMED ». FRAMED will be out in October! Howdy, There’s no doubt that your blog might be having web browser compatibility issues. Whenever I take a look at your site in Safari, it looks fine but when opening in Internet Explorer, it’s got some overlapping issues. I merely wanted to give you a quick heads up! Aside from that, wonderful website! Some genuinely nice and utilitarian information on this web site, also I believe the style and design contains great features. In Des Moines, there is no excellent pizza area that I’m able to assume of, although the pizzas they make at Hessen Haus are fairly okay. You will find just one which features wild boar and duck. And anything goes very well which has a liter of German beer. Fantastic site.Actually seeking forward to browse more. Fantastic. I enjoy you because of all of your labor on this website. Ellie delights in making time for investigations and it’s obvious why. My spouse and i learn all regarding the compelling means you provide very helpful strategies by means of the blog and as well as foster participation from other ones on that situation while our own girl is actually starting to learn a lot. Have fun with the remaining portion of the year. You are always performing a remarkable job. Howdy, I do think your web site may be having browser compatibility issues. When I look at your web site in Safari, it looks fine however when opening in I.E., it has some overlapping issues. I merely wanted to provide you with a quick heads up! Apart from that, great site! My partner and I absolutely love your blog and find a lot of your post’s to be what precisely I’m looking for. Would you offer guest writers to write content for you? I wouldn’t mind publishing a post or elaborating on a lot of the subjects you write with regards to here. Again, awesome website! Howdy very cool web site!! Guy .. Excellent .. Wonderful .. I will bookmark your website and take the feeds also…I am happy to seek out so many helpful info right here in the put up, we want work out more techniques on this regard, thank you for sharing. Hi, Neat post. There’s a problem with your web site in internet explorer, would check this¡K IE nonetheless is the marketplace chief and a large component to people will omit your excellent writing because of this problem. Hey there would you mind stating which blog platform you’re using? I’m looking to start my own blog in the near future but I’m having a tough time choosing between BlogEngine/Wordpress/B2evolution and Drupal. The reason I ask is because your layout seems different then most blogs and I’m looking for something unique. P.S Apologies for getting off-topic but I had to ask! Greetings from Z a g a z g, i really apprecated your post! Keep up the nice work. Also you must have a look at my site if you need any aid with website maintenance. I create lots of posts concerning how to preserve your website maintained for low-priced. Could it be an incredibly pleasant 69 Dodge Truck showing a bit of by itself upcoming for the shorty? Currently it seems like Drupal is the top blogging platform available right now. (from what I’ve read) Is that what you are using on your blog?|Great post however I was wondering if you could write a litte more on this topic? I’d be very grateful if you could elaborate a little bit further. Cheers!|Hey there! I know this is somewhat off topic but I was wondering if you knew where I could get a captcha plugin for my comment form? I’m using the same blog platform as yours and I’m having trouble finding one? Thanks a lot!|When I initially commented I clicked the « Notify me when new comments are added » checkbox and now each time a comment is added I get three e-mails with the same comment. Is there any way you can remove me from that service? Thank you!|Hey! This is my first visit to your blog! We are a group of volunteers and starting a new initiative in a community in the same niche. Your blog provided us beneficial information to work on. You have done a extraordinary job!|Hi there! I know this is somewhat off topic but I was wondering which blog platform are you using for this site? I’m getting fed up of WordPress because I’ve had problems with hackers and I’m looking at options for another platform. I would be awesome if you could point me in the direction of a good platform.|Hello there! This post couldn’t be written any better! Reading this post reminds me of my previous room mate! He always kept chatting about this. I will forward this post to him. Fairly certain he will have a good read. Many thanks for sharing!|Write more, thats all I have to say. Literally, it seems as though you relied on the video to make your point. You clearly know what youre talking about, why waste your intelligence on just posting videos to your weblog when you could be giving us something informative to read?|Today, I went to the beachfront with my children. I found a sea shell and gave it to my 4 year old daughter and said « You can hear the ocean if you put this to your ear. » She placed the shell to her ear and screamed. There was a hermit crab inside and it pinched her ear. She never wants to go back! LoL I know this is entirely off topic but I had to tell someone!|Today, while I was at work, my sister stole my iPad and tested to see if it can survive a 30 foot drop, just so she can be a youtube sensation. My apple ipad is now destroyed and she has 83 views. I know this is entirely off topic but I had to share it with someone!|I was curious if you ever considered changing the page layout of your website? Its very well written; I love what youve got to say. But maybe you could a little more in the way of content so people could connect with it better. Youve got an awful lot of text for only having one or 2 pictures. Maybe you could space it out better?|Howdy, i read your blog occasionally and i own a similar one and i was just wondering if you get a lot of spam comments? If so how do you stop it, any plugin or anything you can suggest? I get so much lately it’s driving me insane so any assistance is very much appreciated.|This design is wicked! You certainly know how to keep a reader entertained. Between your wit and your videos, I was almost moved to start my own blog (well, almost…HaHa!) Excellent job. I really loved what you had to say, and more than that, how you presented it. Too cool!|I’m truly enjoying the design and layout of your blog. It’s a very easy on the eyes which makes it much more enjoyable for me to come here and visit more often. Did you hire out a designer to create your theme? Superb work!|Hey! I could have sworn I’ve been to this site before but after reading through some of the post I realized it’s new to me. Anyways, I’m definitely delighted I found it and I’ll be book-marking and checking back often!|Hi! Would you mind if I share your blog with my myspace group? There’s a lot of people that I think would really enjoy your content. Please let me know. Cheers|Hey, I think your site might be having browser compatibility issues. When I look at your website in Firefox, it looks fine but when opening in Internet Explorer, it has some overlapping. I just wanted to give you a quick heads up! Other then that, fantastic blog!|Sweet blog! I found it while searching on Yahoo News. Do you have any suggestions on how to get listed in Yahoo News? I’ve been trying for a while but I never seem to get there! Many thanks|Hey there! This is kind of off topic but I need some help from an established blog. Is it tough to set up your own blog? I’m not very techincal but I can figure things out pretty fast. 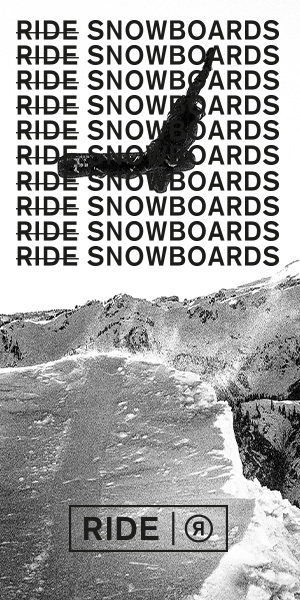 I’m thinking about making my own but I’m not sure where to begin. Do you have any ideas or suggestions? Appreciate it|Hey! Quick question that’s entirely off topic. Do you know how to make your site mobile friendly? My website looks weird when browsing from my iphone4. I’m trying to find a template or plugin that might be able to fix this issue. If you have any suggestions, please share. With thanks!|I’m not that much of a online reader to be honest but your blogs really nice, keep it up! I’ll go ahead and bookmark your website to come back later on. Cheers|I really like your blog.. very nice colors & theme. Did you design this website yourself or did you hire someone to do it for you? Plz reply as I’m looking to create my own blog and would like to find out where u got this from. cheers|Whoa! This blog looks exactly like my old one! It’s on a completely different subject but it has pretty much the same layout and design. Superb choice of colors!|Hi just wanted to give you a quick heads up and let you know a few of the images aren’t loading correctly. I’m not sure why but I think its a linking issue. I’ve tried it in two different web browsers and both show the same outcome.|Hi there are using WordPress for your site platform? I’m new to the blog world but I’m trying to get started and set up my own. Do you need any html coding expertise to make your own blog? Any help would be greatly appreciated!|Howdy this is somewhat of off topic but I was wondering if blogs use WYSIWYG editors or if you have to manually code with HTML. I’m starting a blog soon but have no coding expertise so I wanted to get advice from someone with experience. Any help would be enormously appreciated!|Hey! I just wanted to ask if you ever have any trouble with hackers? My last blog (wordpress) was hacked and I ended up losing many months of hard work due to no backup. Do you have any methods to stop hackers?|Howdy! Do you use Twitter? I’d like to follow you if that would be okay. I’m absolutely enjoying your blog and look forward to new updates.|Hey! Do you know if they make any plugins to safeguard against hackers? I’m kinda paranoid about losing everything I’ve worked hard on. Any tips?|Good day! Do you know if they make any plugins to help with SEO? I’m trying to get my blog to rank for some targeted keywords but I’m not seeing very good success. If you know of any please share. Kudos!|I know this if off topic but I’m looking into starting my own weblog and was wondering what all is required to get setup? I’m assuming having a blog like yours would cost a pretty penny? I’m not very internet savvy so I’m not 100% certain. Any recommendations or advice would be greatly appreciated. Kudos|Hmm is anyone else experiencing problems with the images on this blog loading? I’m trying to determine if its a problem on my end or if it’s the blog. Any feed-back would be greatly appreciated.|I’m not sure why but this weblog is loading very slow for me. Is anyone else having this issue or is it a problem on my end? I’ll check back later and see if the problem still exists.|Hello! I’m at work surfing around your blog from my new apple iphone! Just wanted to say I love reading your blog and look forward to all your posts! Carry on the great work!|Wow that was odd. I just wrote an extremely long comment but after I clicked submit my comment didn’t show up. Grrrr… well I’m not writing all that over again. Regardless, just wanted to say fantastic blog!|Hello excellent blog! Does running a blog like this require a large amount of work? I have virtually no expertise in programming but I had been hoping to start my own blog soon. Anyways, should you have any recommendations or tips for new blog owners please share. I know this is off subject but I simply had to ask. Thanks!|Hi there! I know this is sort of off-topic but I had to ask. Does building a well-established website like yours take a large amount of work? I am completely new to blogging but I do write in my diary everyday. I’d like to start a blog so I can easily share my experience and thoughts online. Please let me know if you have any ideas or tips for new aspiring blog owners. Thankyou!|Hey I know this is off topic but I was wondering if you knew of any widgets I could add to my blog that automatically tweet my newest twitter updates. I’ve been looking for a plug-in like this for quite some time and was hoping maybe you would have some experience with something like this. Please let me know if you run into anything. I truly enjoy reading your blog and I look forward to your new updates.|I don’t know whether it’s just me or if everyone else experiencing problems with your blog. It appears like some of the written text on your content are running off the screen. Can someone else please provide feedback and let me know if this is happening to them as well? This could be a problem with my browser because I’ve had this happen previously. Thanks|First off I want to say terrific blog! I had a quick question in which I’d like to ask if you do not mind. I was curious to know how you center yourself and clear your thoughts before writing. I have had trouble clearing my mind in getting my thoughts out there. I truly do enjoy writing but it just seems like the first 10 to 15 minutes are usually wasted simply just trying to figure out how to begin. Any ideas or hints? Thank you! In which can I make contact with your organization if I want some help? Hi would you mind letting me know which web host you’re working with? I’ve loaded your blog in 3 completely different browsers and I must say this blog loads a lot faster then most. Can you recommend a good internet hosting provider at a fair price? Many thanks, I appreciate it! The 2nd phase comes in the set up a budget. Although you will be setting up your spending budget for property rental, you really should consist of other charges in your dr. jaydeep biswas spending budget like you have to shell out utility charges for the rented home and very likely to pay drinking water bills also is dependent on the lease settlement with the landlord. If you are obtaining an apartment and unit in any gated neighborhood then you have to pay out provider charges for every thirty day period or per annum other than rental costs. If you are consulting with any agency for home rental then you must also include consultancy fees of that business. Also retain some quantity on the protected side as you would call for it for packing and relocating of products from one place to yet another. Good ?V I should definitely pronounce, impressed with your website. I had no trouble navigating through all tabs as well as related information ended up being truly easy to do to access. I recently found what I hoped for before you know it in the least. Reasonably unusual. Is likely to appreciate it for those who add forums or something, web site theme . a tones way for your client to communicate. Excellent task.. Many thanks for getting the time to discuss this, I really feel strongly about this and adore learning more on this topic. If possible, as you gain expertise, would you mind updating your weblog with more info? It is extremely helpful for me. Excellent blog you’ve got here.. It’s difficult to find high quality writing like yours nowadays. I honestly appreciate individuals like you! Take care!! This is a great website, could you be interested in doing an interview about just how you developed it? If so e-mail me! I simply had to say thanks again. I am not sure the things I might have followed without the entire concepts shown by you concerning such a field. It became a real distressing difficulty in my position, nevertheless considering your specialized technique you dealt with the issue took me to weep with contentment. I will be thankful for your help and then wish you realize what a powerful job you are always putting in instructing most people through a site. I am sure you’ve never come across all of us. what is pixel web page? Or what’s pixel marketing? Or what are pixel ads?Pixel Advertisements, from time to time referred to as Micro Ads, are tiny advertisements that only slot within the space of a pixel on a net page. SEO Services Australia ads range anywhere from a penny to a dollar per pixel and many web pages are supplying totally free Pixel Ads. Someone necessarily help to make severely articles I’d state. This is the very first time I frequented your web page and up to now? I amazed with the research you made to make this particular post incredible. Excellent activity! Thanks for your intriguing article. One other problem is that mesothelioma is generally attributable to the inhalation of dust from mesothelioma, which is a very toxic material. It’s commonly witnessed among personnel in the structure industry who may have long exposure to asbestos. It could be caused by residing in asbestos covered buildings for some time of time, Your age plays a huge role, and some individuals are more vulnerable on the risk as compared to others. My developer is trying to persuade me to move to .net from PHP. I have always disliked the idea because of the costs. But he’s tryiong none the less. I’ve been using Movable-type on various websites for about a year and am worried about switching to another platform. I have heard good things about blogengine.net. Is there a way I can transfer all my wordpress content into it? Any help would be really appreciated! How long did it take to research this? Spot on with this write-up, I absolutely believe this site needs a great deal more attention. I’ll probably be back again to read more, thanks for the advice! When I initially commented I clicked the « Notify me when new comments are added » checkbox and now each time a comment is added I get several e-mails with the same comment. Is there any way you can remove people from that service? Cheers! Thank you, I have recently been seeking for information about this subject matter for ages and yours is the best I have discovered so far. Have you ever thought about publishing an e-book or guest authoring on other blogs? I have a blog based upon on the same subjects you discuss and would love to have you share some stories/information. I know my readers would enjoy your work. If you are even remotely interested, feel free to shoot me an e-mail. My spouse and I stumbled over here different website and thought I should check things out. I like what I see so now i’m following you. Look forward to checking out your web page again. Currently it seems like Drupal is the preferred blogging platform out there right now. (from what I’ve read) Is that what you’re using on your blog?|Great post however I was wondering if you could write a litte more on this subject? I’d be very thankful if you could elaborate a little bit more. Bless you!|Hi there! I know this is somewhat off topic but I was wondering if you knew where I could get a captcha plugin for my comment form? I’m using the same blog platform as yours and I’m having difficulty finding one? Thanks a lot!|When I originally commented I clicked the « Notify me when new comments are added » checkbox and now each time a comment is added I get three emails with the same comment. Is there any way you can remove me from that service? Thanks!|Good day! This is my first visit to your blog! We are a group of volunteers and starting a new project in a community in the same niche. Your blog provided us valuable information to work on. You have done a outstanding job!|Hi! I know this is kind of off topic but I was wondering which blog platform are you using for this site? I’m getting tired of WordPress because I’ve had problems with hackers and I’m looking at options for another platform. I would be fantastic if you could point me in the direction of a good platform.|Hi! This post could not be written any better! Reading through this post reminds me of my previous room mate! He always kept talking about this. I will forward this post to him. Fairly certain he will have a good read. Thanks for sharing!|Write more, thats all I have to say. Literally, it seems as though you relied on the video to make your point. You definitely know what youre talking about, why waste your intelligence on just posting videos to your blog when you could be giving us something enlightening to read?|Today, I went to the beach front with my kids. I found a sea shell and gave it to my 4 year old daughter and said « You can hear the ocean if you put this to your ear. » She put the shell to her ear and screamed. There was a hermit crab inside and it pinched her ear. She never wants to go back! LoL I know this is completely off topic but I had to tell someone!|Today, while I was at work, my sister stole my iphone and tested to see if it can survive a twenty five foot drop, just so she can be a youtube sensation. My iPad is now destroyed and she has 83 views. I know this is completely off topic but I had to share it with someone!|I was curious if you ever thought of changing the page layout of your site? Its very well written; I love what youve got to say. But maybe you could a little more in the way of content so people could connect with it better. Youve got an awful lot of text for only having 1 or 2 pictures. Maybe you could space it out better?|Hello, i read your blog from time to time and i own a similar one and i was just curious if you get a lot of spam comments? If so how do you prevent it, any plugin or anything you can recommend? I get so much lately it’s driving me mad so any assistance is very much appreciated.|This design is steller! You definitely know how to keep a reader amused. Between your wit and your videos, I was almost moved to start my own blog (well, almost…HaHa!) Fantastic job. I really loved what you had to say, and more than that, how you presented it. Too cool!|I’m really enjoying the design and layout of your site. It’s a very easy on the eyes which makes it much more enjoyable for me to come here and visit more often. Did you hire out a developer to create your theme? Great work!|Hello there! I could have sworn I’ve been to this website before but after checking through some of the post I realized it’s new to me. Nonetheless, I’m definitely happy I found it and I’ll be book-marking and checking back frequently!|Hi there! Would you mind if I share your blog with my twitter group? There’s a lot of folks that I think would really appreciate your content. Please let me know. Thank you|Hello, I think your blog might be having browser compatibility issues. When I look at your blog in Firefox, it looks fine but when opening in Internet Explorer, it has some overlapping. I just wanted to give you a quick heads up! Other then that, excellent blog!|Sweet blog! I found it while browsing on Yahoo News. Do you have any suggestions on how to get listed in Yahoo News? I’ve been trying for a while but I never seem to get there! Appreciate it|Hey there! This is kind of off topic but I need some guidance from an established blog. Is it very difficult to set up your own blog? I’m not very techincal but I can figure things out pretty fast. I’m thinking about setting up my own but I’m not sure where to begin. Do you have any points or suggestions? With thanks|Hey there! Quick question that’s completely off topic. Do you know how to make your site mobile friendly? My website looks weird when viewing from my apple iphone. I’m trying to find a template or plugin that might be able to resolve this problem. If you have any recommendations, please share. Thanks!|I’m not that much of a online reader to be honest but your sites really nice, keep it up! I’ll go ahead and bookmark your site to come back later. Cheers|I love your blog.. very nice colors & theme. Did you make this website yourself or did you hire someone to do it for you? Plz reply as I’m looking to design my own blog and would like to find out where u got this from. appreciate it|Amazing! This blog looks just like my old one! It’s on a totally different subject but it has pretty much the same page layout and design. Outstanding choice of colors!|Hello just wanted to give you a brief heads up and let you know a few of the images aren’t loading correctly. I’m not sure why but I think its a linking issue. I’ve tried it in two different web browsers and both show the same results.|Heya are using WordPress for your blog platform? I’m new to the blog world but I’m trying to get started and create my own. Do you need any coding expertise to make your own blog? Any help would be really appreciated!|Hey this is kinda of off topic but I was wondering if blogs use WYSIWYG editors or if you have to manually code with HTML. I’m starting a blog soon but have no coding know-how so I wanted to get advice from someone with experience. Any help would be greatly appreciated!|Hey there! I just wanted to ask if you ever have any problems with hackers? My last blog (wordpress) was hacked and I ended up losing a few months of hard work due to no data backup. Do you have any methods to stop hackers?|Hey! Do you use Twitter? I’d like to follow you if that would be okay. I’m undoubtedly enjoying your blog and look forward to new posts.|Good day! Do you know if they make any plugins to safeguard against hackers? I’m kinda paranoid about losing everything I’ve worked hard on. Any recommendations?|Good day! Do you know if they make any plugins to assist with SEO? I’m trying to get my blog to rank for some targeted keywords but I’m not seeing very good gains. If you know of any please share. Cheers!|I know this if off topic but I’m looking into starting my own weblog and was wondering what all is required to get set up? I’m assuming having a blog like yours would cost a pretty penny? I’m not very web savvy so I’m not 100% certain. Any suggestions or advice would be greatly appreciated. Many thanks|Hmm is anyone else encountering problems with the pictures on this blog loading? I’m trying to find out if its a problem on my end or if it’s the blog. Any feed-back would be greatly appreciated.|I’m not sure why but this site is loading very slow for me. Is anyone else having this problem or is it a issue on my end? I’ll check back later and see if the problem still exists.|Howdy! I’m at work surfing around your blog from my new iphone 3gs! Just wanted to say I love reading your blog and look forward to all your posts! Keep up the superb work!|Wow that was strange. I just wrote an incredibly long comment but after I clicked submit my comment didn’t show up. Grrrr… well I’m not writing all that over again. Anyways, just wanted to say wonderful blog!|Howdy excellent website! Does running a blog like this require a large amount of work? I’ve no understanding of computer programming but I was hoping to start my own blog soon. Anyway, should you have any recommendations or techniques for new blog owners please share. I know this is off topic however I simply needed to ask. Thanks!|Hi there! I know this is kind of off-topic but I had to ask. Does running a well-established blog like yours require a lot of work? I am completely new to running a blog but I do write in my diary daily. I’d like to start a blog so I will be able to share my experience and thoughts online. Please let me know if you have any kind of suggestions or tips for new aspiring bloggers. Appreciate it!|Hey I know this is off topic but I was wondering if you knew of any widgets I could add to my blog that automatically tweet my newest twitter updates. I’ve been looking for a plug-in like this for quite some time and was hoping maybe you would have some experience with something like this. Please let me know if you run into anything. I truly enjoy reading your blog and I look forward to your new updates.|I do not know whether it’s just me or if everybody else experiencing issues with your website. It looks like some of the written text in your posts are running off the screen. Can somebody else please provide feedback and let me know if this is happening to them too? This might be a issue with my browser because I’ve had this happen before. Many thanks|First of all I want to say great blog! I had a quick question which I’d like to ask if you do not mind. I was curious to know how you center yourself and clear your mind before writing. I have had a hard time clearing my mind in getting my thoughts out. I do take pleasure in writing but it just seems like the first 10 to 15 minutes are generally wasted just trying to figure out how to begin. Any recommendations or hints? Many thanks! I seriously love your site.. Excellent colors & theme. Did you make this amazing site yourself? Please reply back as I’m attempting to create my very own blog and would love to learn where you got this from or what the theme is called. Kudos! I’m really loving the theme/design of your blog. Do you ever run into any browser compatibility issues? A handful of my blog readers have complained about my site not operating correctly in Explorer but looks great in Firefox. Do you have any solutions to help fix this problem?|I am curious to find out what blog platform you have been working with? I’m having some minor security problems with my latest site and I’d like to find something more secure. Do you have any suggestions? I precisely desired to say thanks again. I’m not certain the things that I would’ve handled in the absence of these recommendations revealed by you relating to such a area. It seemed to be the depressing difficulty for me personally, but coming across the expert tactic you dealt with the issue took me to leap over happiness. Extremely happy for your service and thus have high hopes you know what an amazing job you were undertaking instructing people today thru a site. I know that you’ve never come across any of us. I am really loving the theme/design of your web site. Do you ever run into any internet browser compatibility issues? A small number of my blog readers have complained about my website not working correctly in Explorer but looks great in Chrome. Do you have any recommendations to help fix this problem?